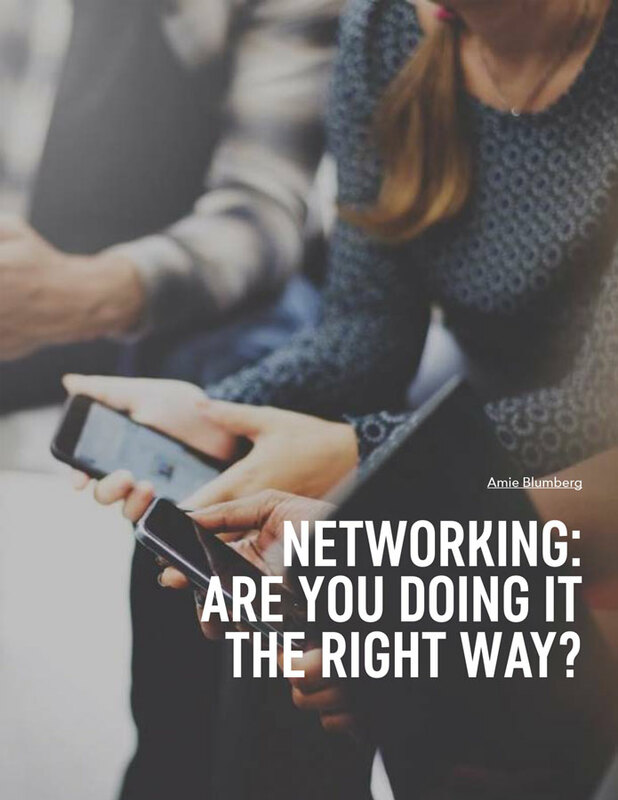 Amie Blumberg Coaching: Networking: Are You Doing It The Right Way? Networking: Are You Doing It The Right Way? 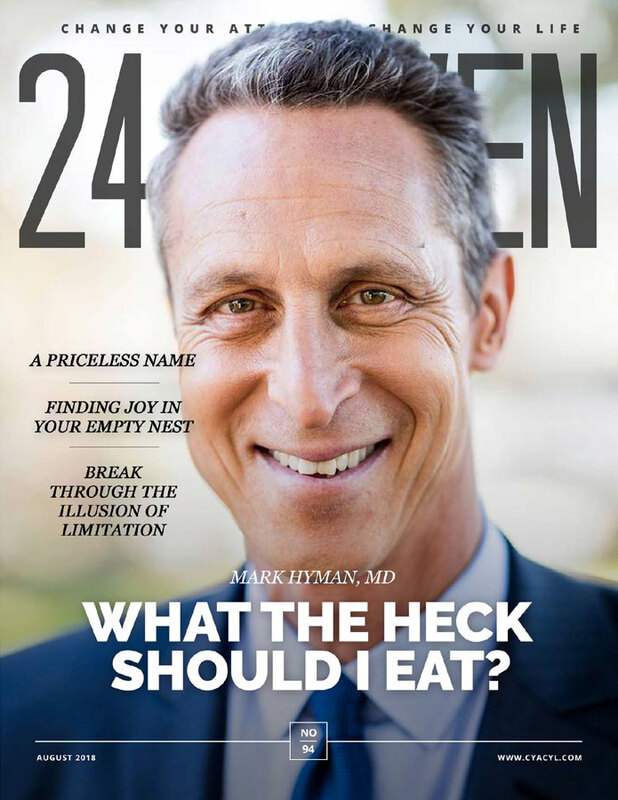 My article was featured in the August issue of 24/Seven Magazine — full article and details below. How was your last networking event? Did it conjure images of awkward conversations with strange emotions and feelings? According to Mike Tyrrell, founder of Uncommon Knowledge, fear is the number one excuse that holds people back in social networking. So what’s getting in your way? Fear of saying the wrong thing? Not knowing what to say? Afraid of being judged, rejected, or just not being smart enough? Personally, I have left so many events unfulfilled and disappointed that my expectations weren’t being met. Self-doubt would start to creep in. I would feel myself getting anxious about attending traditional, large format, networking events and struggle with what to say and to whom. I would ask myself, “why wasn’t I brave enough to start a conversation that matters?” I found myself getting frustrated and feeling dejected about the lack of connections I was making. Admittedly, my head wasn’t in the game. That’s when I realized I was attending events where I had nothing in common with the other people in the room. The light bulb went on. I had reached my aha moment. That’s when I started attending events that matched my interests. I targeted events where I would be surrounded by the kind of women who supported entrepreneurs. I looked for intimate, smaller scale events, ones I felt were more contemporary, hipper, innovative, interactive and fun! I stopped going alone, asking friends and business colleagues to join me. Importantly, I shifted my objective from selling my business to listening to others and started going home feeling fulfilled and excited about the business connections I had made. When you network with like-minded people, guess what happens? You relax and exude more confidence. You transmit positive energy to those with whom you communicate. And that’s when the real magic happens. You find yourself having truly meaningful, productive conversations. Start with a conversation. “Networking is simply starting a conversation with no destination in mind.” – Kathryn Crawford Wheat. Start that conversation with a question. Ask someone about her passion or what she likes to do besides work. Avoid small talk that’s designed to avoid vulnerability, bores others and makes you appear superficial. In real estate, it’s location, location, location. In networking, it’s listen, listen, listen. Be a connector; introduce people in your network to others who can help them. Use a variety of tools to maintain connections following the networking event: LinkedIn, Facebook, emails, and one-on-one meetings. Don’t underestimate the value of effective business networking. It allows you to present yourself as an industry thought leader. It’s also an opportunity to provide value to others, even to those outside of your industry. The connections you create through a networking event can open doors and opportunities you may have never imagined possible. So, get out there. Network. And network right!